Friends – the greatest gift of all. No, not just the sitcom series from the 90s but friendship is one of the most valuable and cherished relation one can have in life. Today, when I am super busy in life with work, blogging, being a mom and wife; all I really have is those priceless memories. I will share a few of them with you today. One of my first friends was from the days when my school life had just begun. 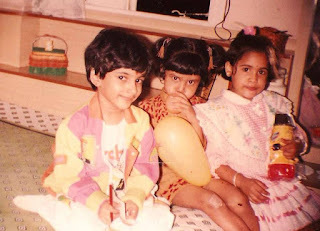 I was in 1st standard when Isha became my friend, and later when my mom was expecting my brother, Isha’s mom would send a tiffin for me daily so that my mom had less to stress about. That is how her mom and my mom also became friends. Today, it’s been almost 20 years since then, and we are as good the friends even if we are in different cities and get to meet only once every couple of years for a few hours. We religiously send birthday cards and friendship bands by courier to each other every year, in this day and age. 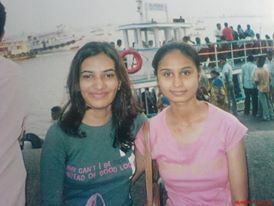 Another childhood friend from those schooling days is Pooja. I used to always hang out at her place and I remember her mom feeding me so much food! When I was to move and leave the area and school, and I told her the news, she burst out crying. She was the only one who cried, in fact. I can never forget that. We’re still in touch, I attended her destination wedding and today she is an awesome baker and chocolatier! I was in a girls school till 8th standard. One fine day we saw a tall boy walk-in during PT and everyone was staring at him, except, it was a HER. Everyone would stare at Prerna and she felt very uncomfortable and weird, but I was in awe and immediately put forward a hand in friendship and became BFFs for as long as I was there in that school. She was so good at sports, and today there is a 360 degree transformation in her and she looks totally feminine and elegant, never thought she’d be lady like! 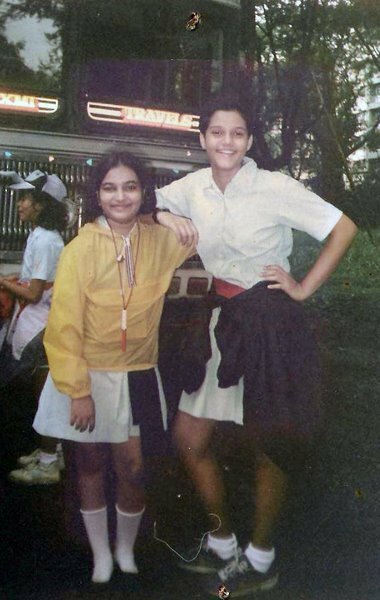 When I changed schools, the same happened with me that I felt like an outsider, but Priyanka made me comfortable and literally pampered me. In fact I was not as good a friend to her as she was to me, for various reasons. But more than a decade later, a few weeks ago, I found her join my Zumba class! The world is so small! 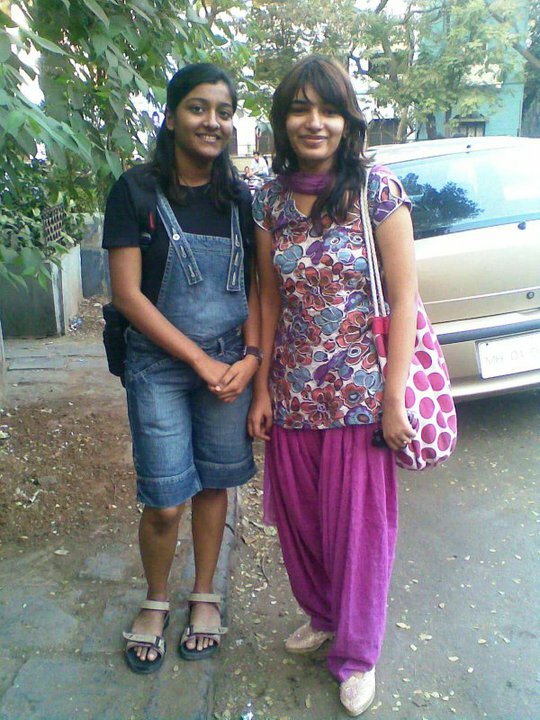 My degree college years gave me another best friend – Nehal. The best part about out friendship was that we never ever judged each other for all the stupid, crazy things we did. We could always confess into each other and know that our secret is well kept. There was a phase when we balanced each other, like Yin and Yang. She called me Virus and I called her Nihaal. Today we are in different continents, and I really miss her. There are a lot of friends we’re blessed with in life, but there are a few who make a mark in your life, are etched in your memory forever. I have many more of such friends, who have made a difference in my life in a short or long span of time, but whom I plan to always be in touch, virtually if not physically. Me and Nehal, in contrasting outfits. Zee TV is also celebrating friendship with a first time in India TV chat-show Yaaron Ki Baraat that will present celebrity friends and take us through their anecdotes and put them through some challenging but fun tasks! I am totally looking forward to see the first episode on 8th October that features Big B and Shotgun Sinha!